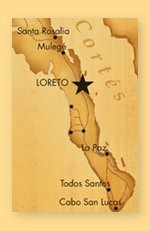 Follow us and you’ll get updates in real time on Loreto! Welcome to Love Loreto! This is an all-in-one web guide to the places you love in the town you love. The Baja magic – one click away!